From now on, since I’m all caught up with this manga, I’ll be doing these chapter reviews on a regular basis whenever the latest chapter is out. Synopsis: Ruka’s Manager, Atsumari, puts her on the line by having her make the final decision during her concert with these instructions: If Ruka raises her mic after the 9th song, the announcement video for her Las Vegas concert will play automatically, signifying that she wishes to continue being an idol, if she lowers the mic and announces her retirement, the video will not play at all and this will be the end of her idol career. Ruka is understandably conflicted about having to make such a rough decision and she reflects upon her life and how her parents basically shoehorned her into the world of show business in order to fulfill their own dreams. 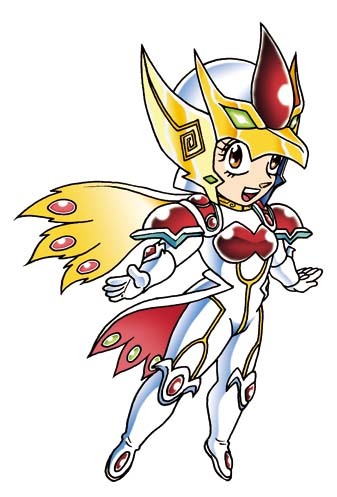 She was quite happy to take their dreams upon herself until her parents left her with a debt of 150 million yen on a Christmas eve just like Hayate. 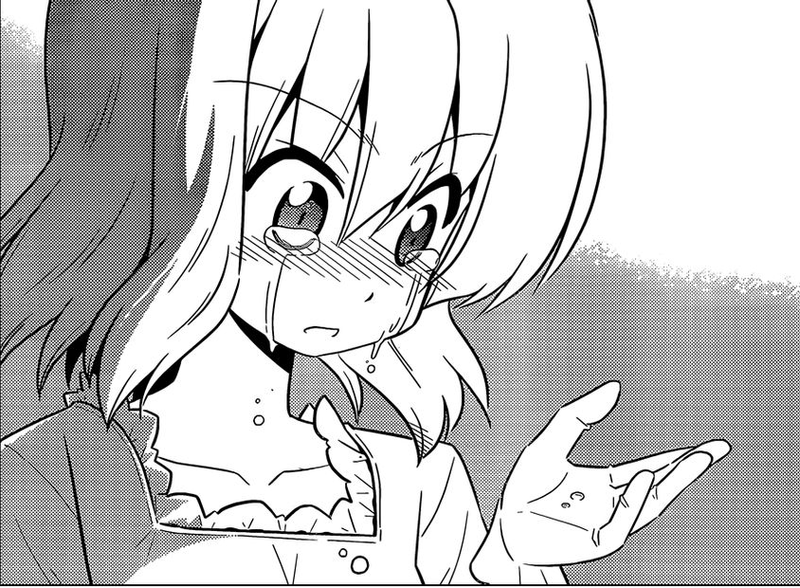 She then thinks about her happy times with Hayate and company, especially having gained a dream, a person to love in Hayate, as well as a rival in Nagi and apparently makes her final decision to retire as an idol. However during the actual concert, she is overcome with emotion before the 9th song is over and breaks down in tears on stage, which almost disrupts the entire concert. 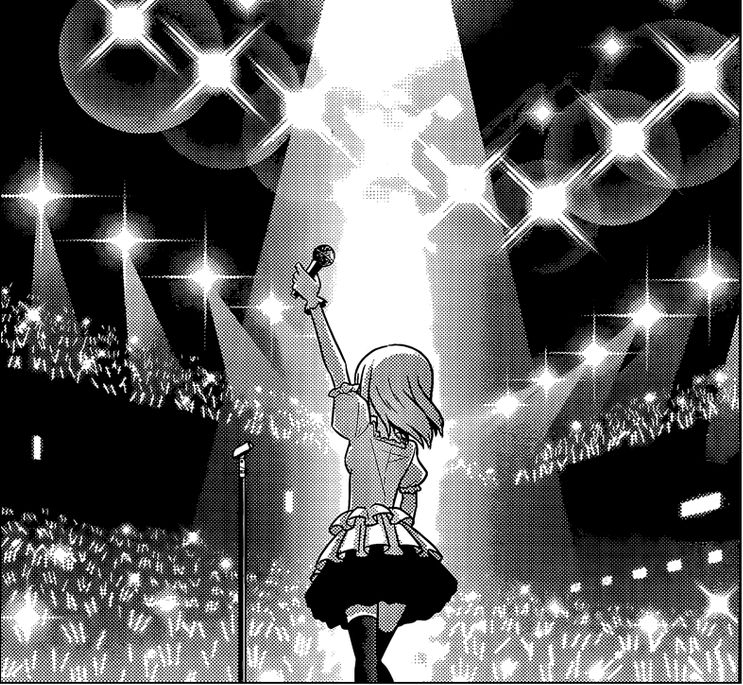 Seeing their beloved idol in tears, the crowd cheers her to continue on and thus, amidst her tears and through the deafening roar of the crowd, Ruka Suirenji raises her mic into the air. Review: A very emotional chapter whether you are a Ruka fan or not. At this point, most manga readers would be at least slightly aware (even if they were in denial) that Ruka’s final decision was already decided with the future timeline shown in Can’t Take My Eyes Off You, yet the journey to getting to this point was a very long, funny, sometimes dragging, but ultimately meaningful one. Even if she was seemingly pressured into making a hasty decision, Ruka stands strong and decides to continue her idol career with a single gesture. It’s funny how some people see her manager as being antagonistic to Ruka by having her make this decision so abruptly when the truth is that she is actually being quite fair and lenient with her. Keep in mind that Ruka still owes the company the money that they used to pay off her parents’ debt, thus, it’s actually quite humane of Atsumari to even allow Ruka the privilege of choosing to quit her idol career and pursue her other passion to become a top-selling mangaka. In my opinion, she is simply acting in the best interests of the company in order to resolve the problem as quickly as possible. She is not really terrorizing Ruka in any way whatsoever. 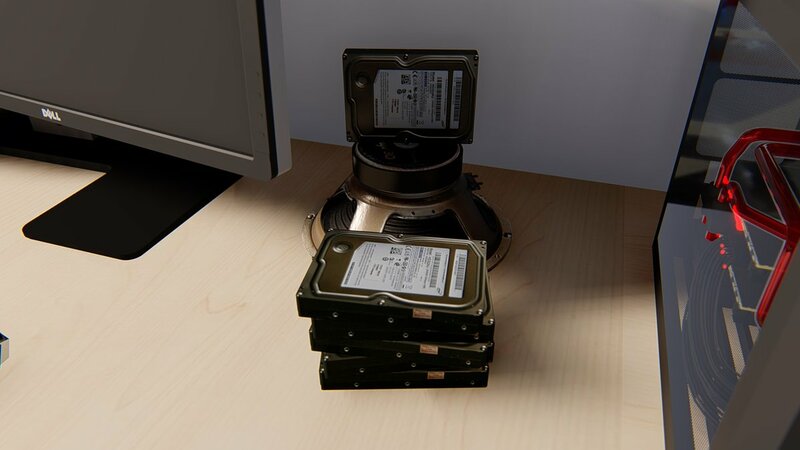 Lots of things have happened at this place. One observation I can make from this chapter is just how significant that place with the vending machines is to this manga. It’s the place where Hayate first meets both Nagi and Isumi and it’s also the place that triggered the chain of events leading to Athena’s arc. 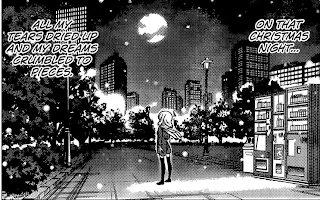 In this chapter, we find out that it’s the very same place where Ruka was standing when her parents left her with a 150 million debt on a Christmas night. Also, you might have noticed that Dr. Kurosu is backstage with Hayate during the concert, which shows that she probably is connected to Ruka somehow. 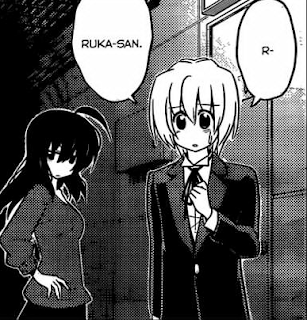 It’s safe to say that Ruka has all but conceded defeat to Nagi as far as their long-term goal of becoming pro mangakas is concerned and perhaps raising the mic was also a constructive admission of defeat regarding her dream of getting married with Hayate. 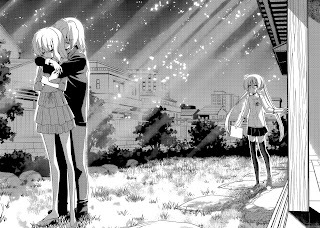 Still, this doesn’t translate into an automatic victory for Nagi – especially as far as Hayate’s feelings (which have been largely ignored by both girls) are concerned. While there is not a whole lot happening in this chapter, for now, it is pretty significant for being one of the first true indications that this manga is indeed connected with Can’t Take My Eyes Off You’s future timeline. I’m eagerly anticipating what other developments follow in the next chapter, especially regarding the cliffhanger in chapter 413. Again, what do you think you're doing here, Hayate!? Over-all, this chapter had an excellent dramatic build-up leading to Ruka's choice. The flashbacks and transitions were tastefully handled with good use of narrative text over subtle visuals. Kenjiro Hata is certainly as capable at drama as he is at comedy, and it really shows in this chapter. In my opinion, this current arc is shaping up to be one of the best story arcs yet because of its character-centric nature. It might even have the potential to topple the Mykonos arc if it's resolved satisfactorily once the manga and anime timelines finally tie in with each other.